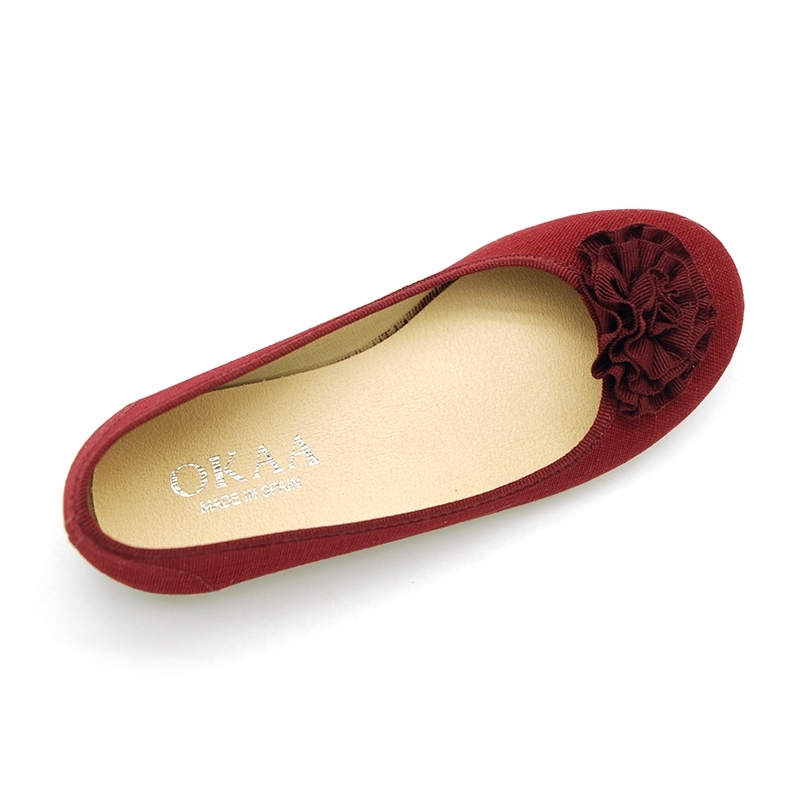 Okaaspain, tienda online de bailarinas de lona para vestir con flor. 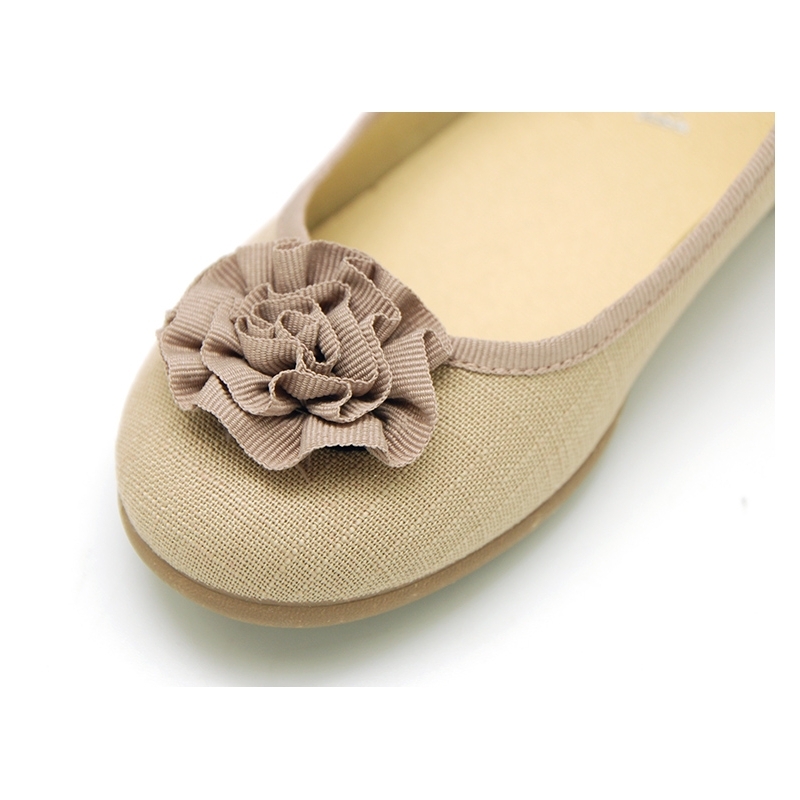 > Moms & Dads>For mom ( from 35-41 Euro Size)>Ballet flats>Dress cotton canvas ballet flats with flower design. 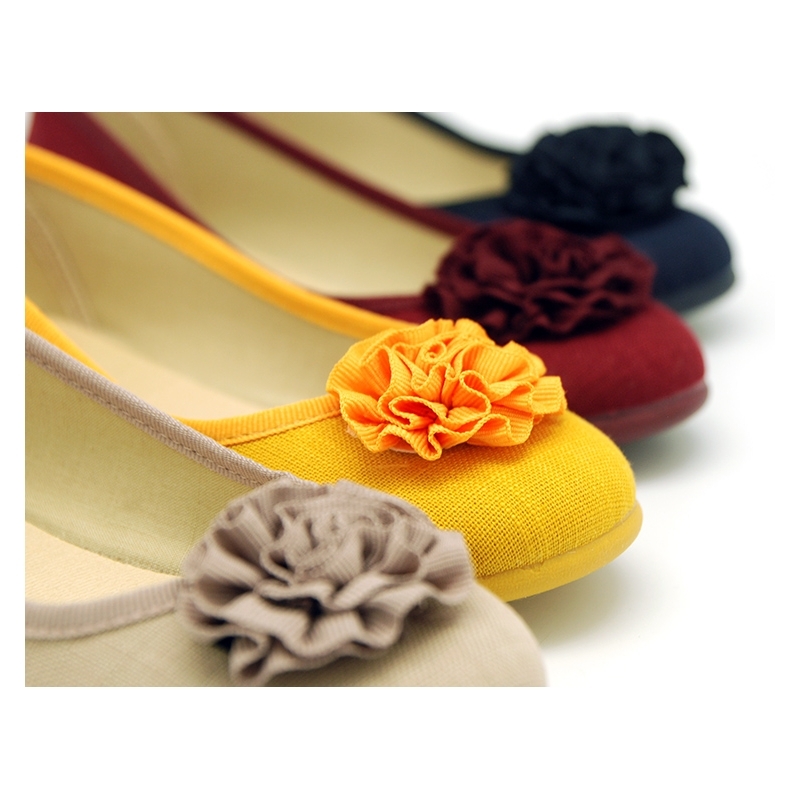 Dress cotton canvas ballet flats with flower design. 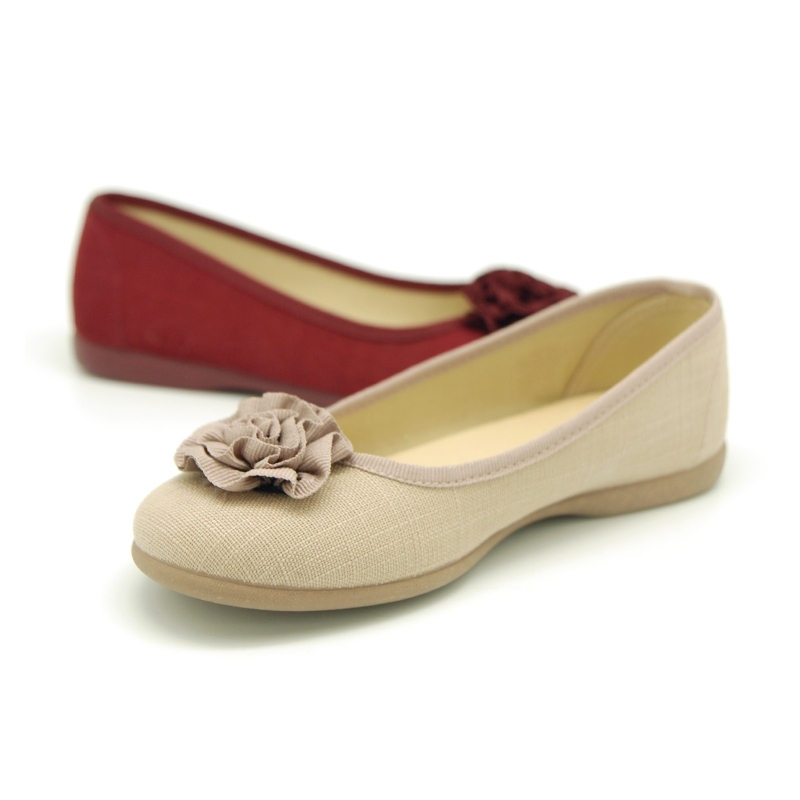 Special dress cotton canvas Ballet flat shoes with flower detail for girls. 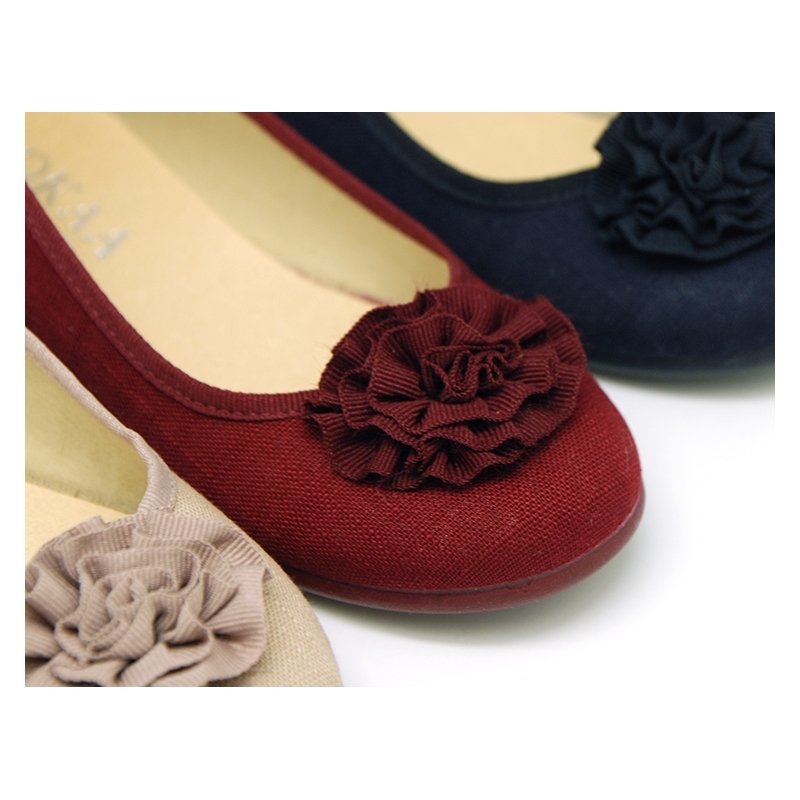 More info about Dress cotton canvas ballet flats with flower design. 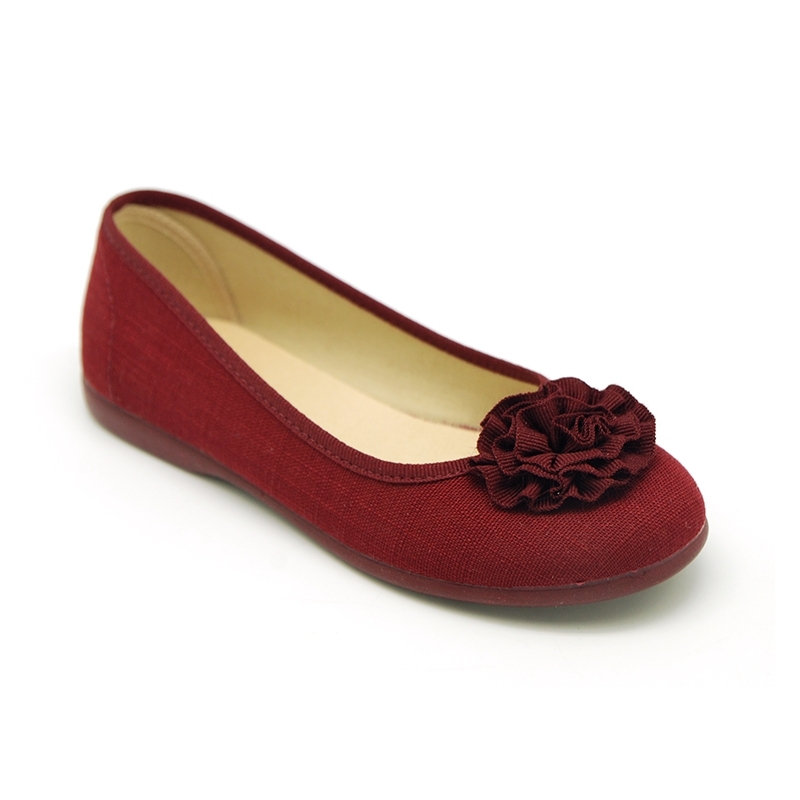 Special dress cotton canvas Ballet flat shoes with flower detail for girls and mums too. Made up on 100% cotton canvas with high finishes. Special design cotton canvas for to dress this spring summer. Really smart!. Very elegant and different model. 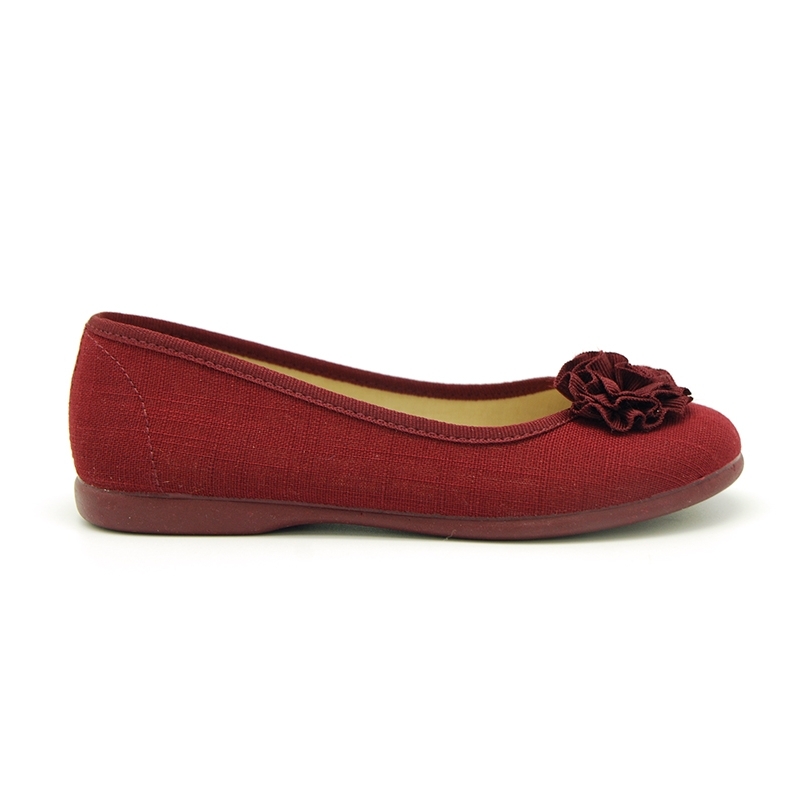 Perfect to mix and macth with all their garments in any special occasion or day a day basis. 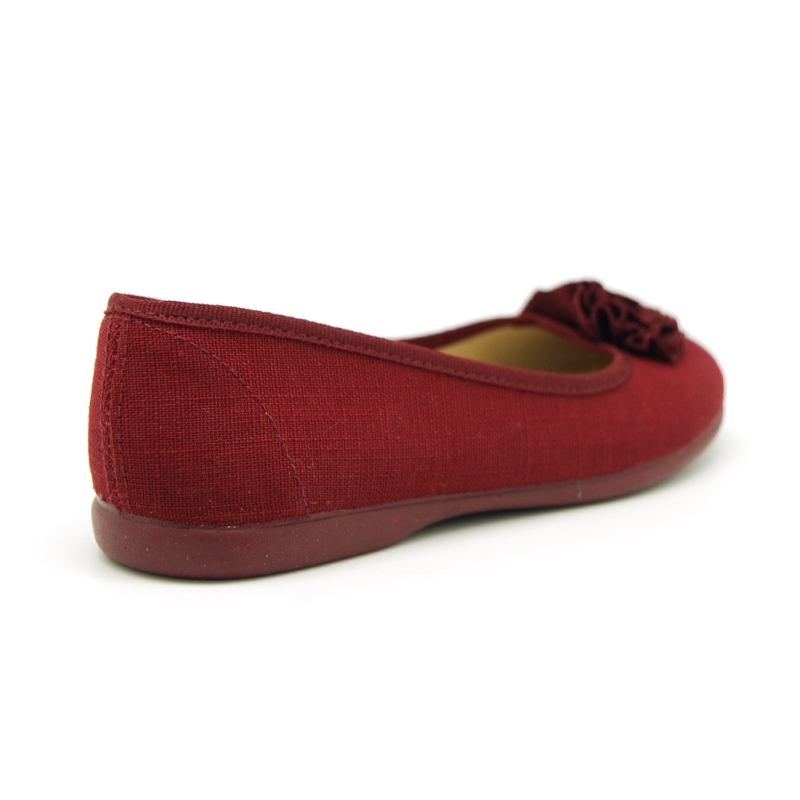 ItÂ´an updated model, very comfortable, diferent and perfect for warmer period. 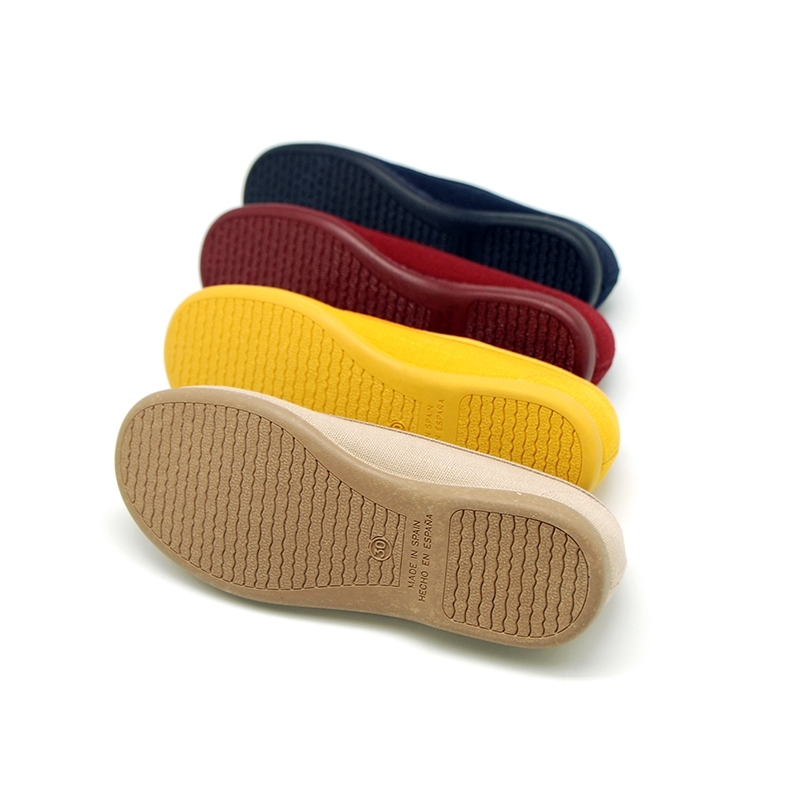 Fully lined in cotton canvas as well and padded footbed for a better comfort. Available in 4 colors. 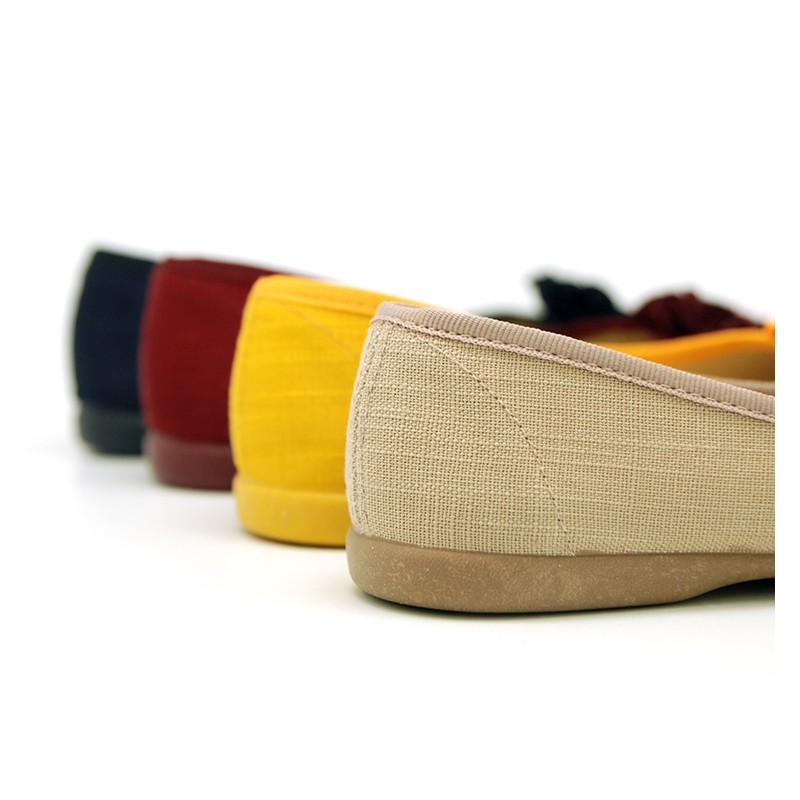 Sizes range: from 27 Euro size up to 41 euro size, for all sisters. SIZING REGULAR. 100% manufactured in SPAIN. 100% Hand Washable to avoid to damage the flower detail. 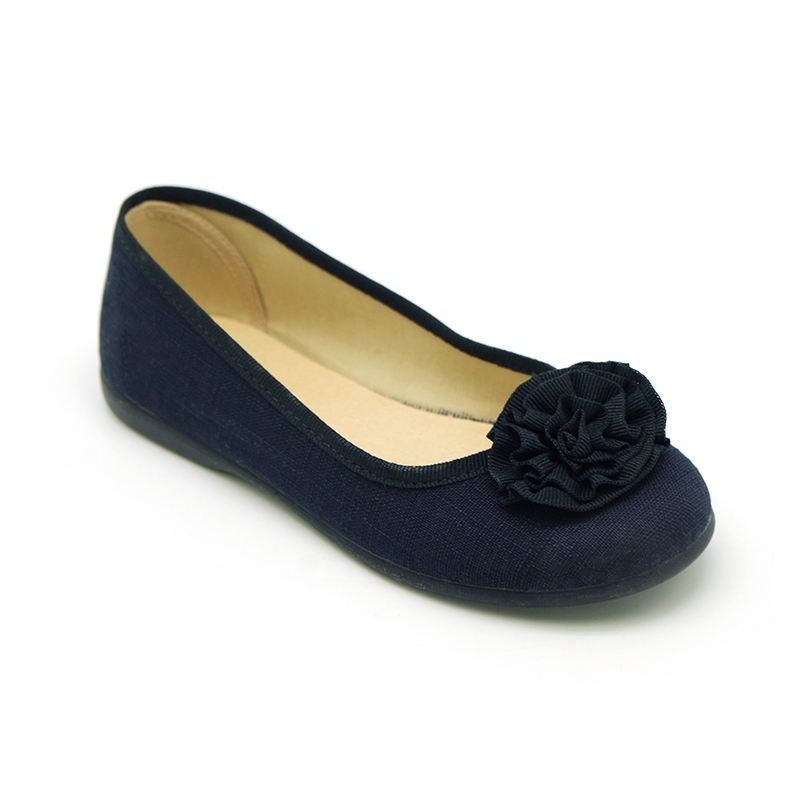 Data sheet about Dress cotton canvas ballet flats with flower design.